These are a collection of pieces from an exhibition I had a few years back at Beach in London. 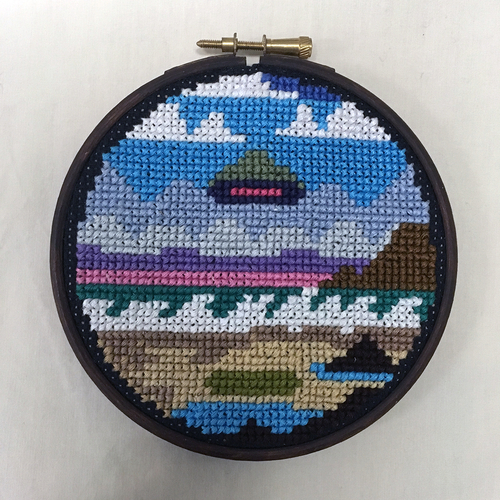 Each piece is hand stitched and stretched around wooden hoops. 13.5 cm across. Signed, dated and titled on the reverse. As this is a hand made original artwork we recommend you selecting the registered postage option.